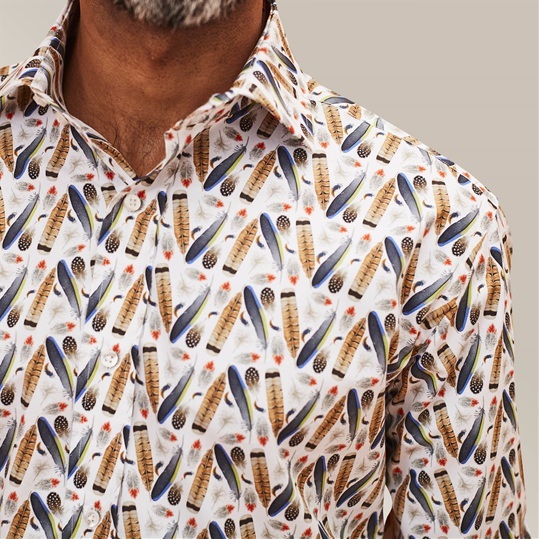 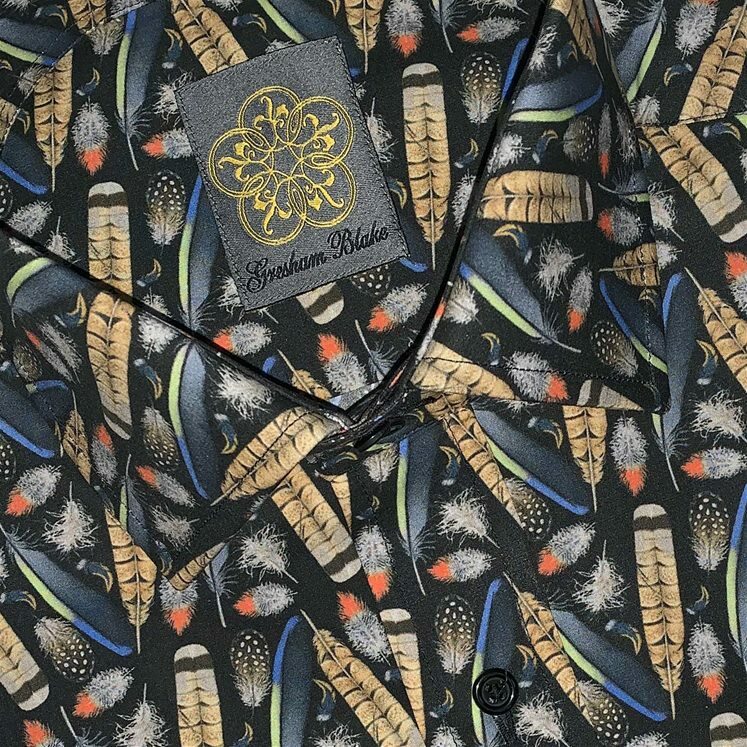 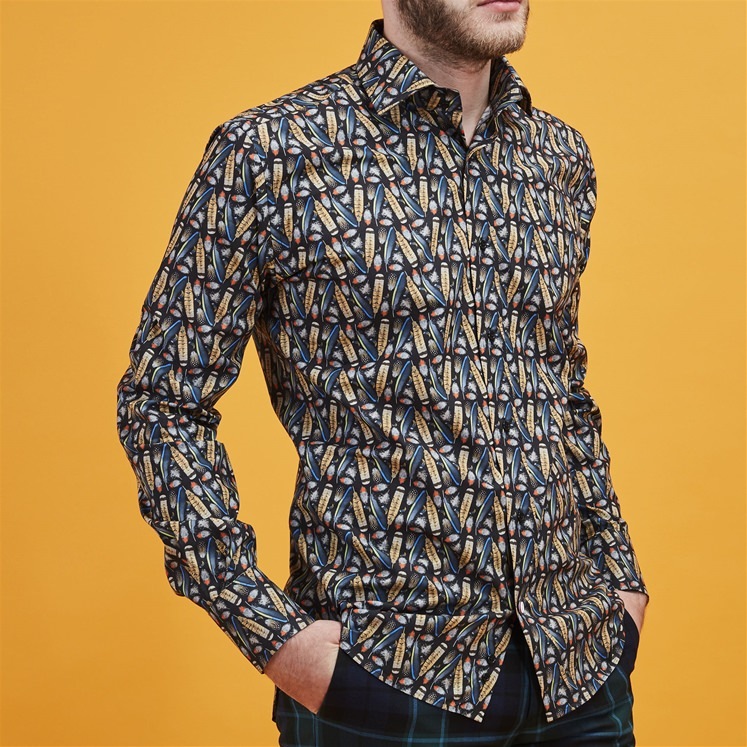 Mens patterned shirt by Gresham Blake. 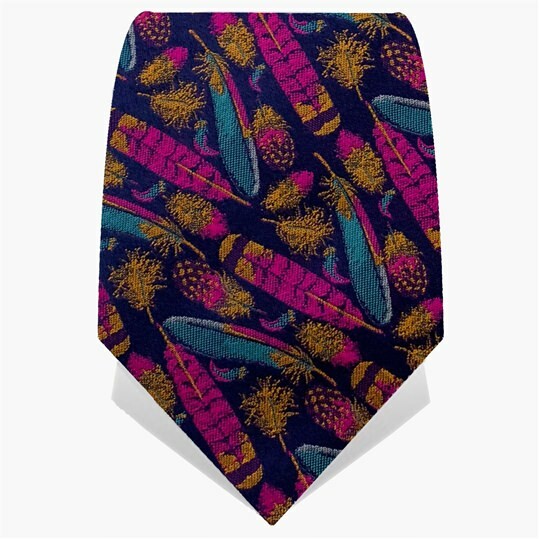 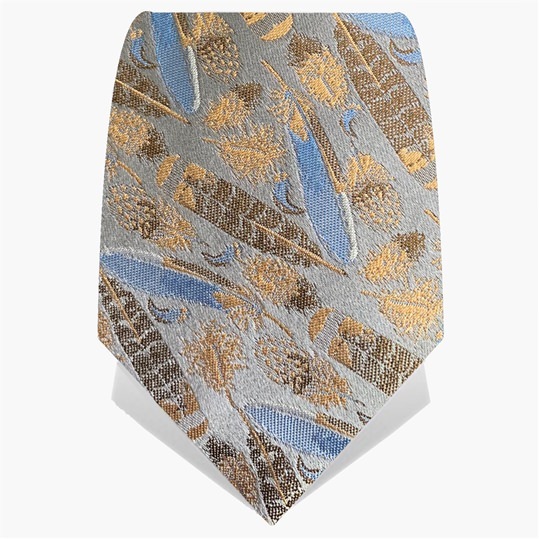 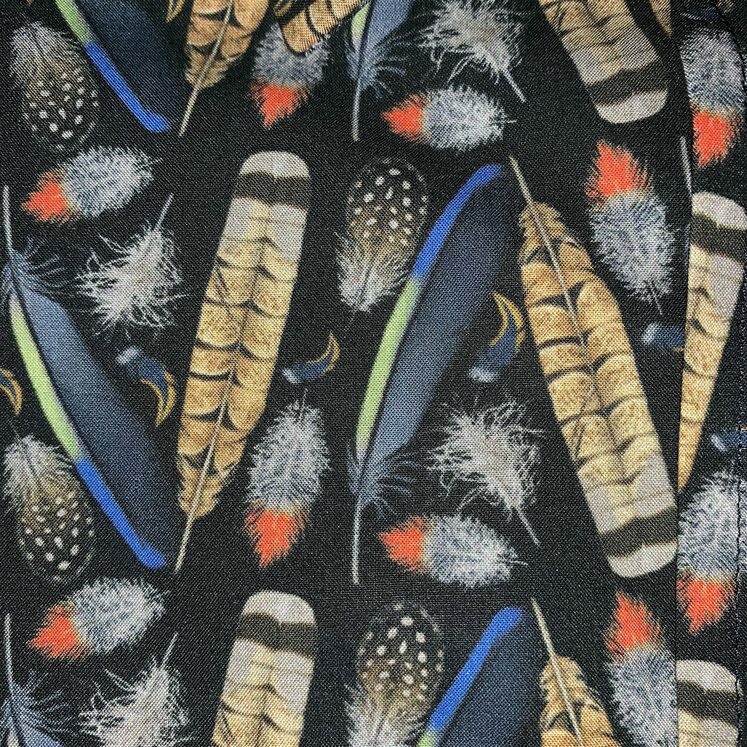 A black cotton ruffled with colourful Navajo Feathers of different shapes and sizes. 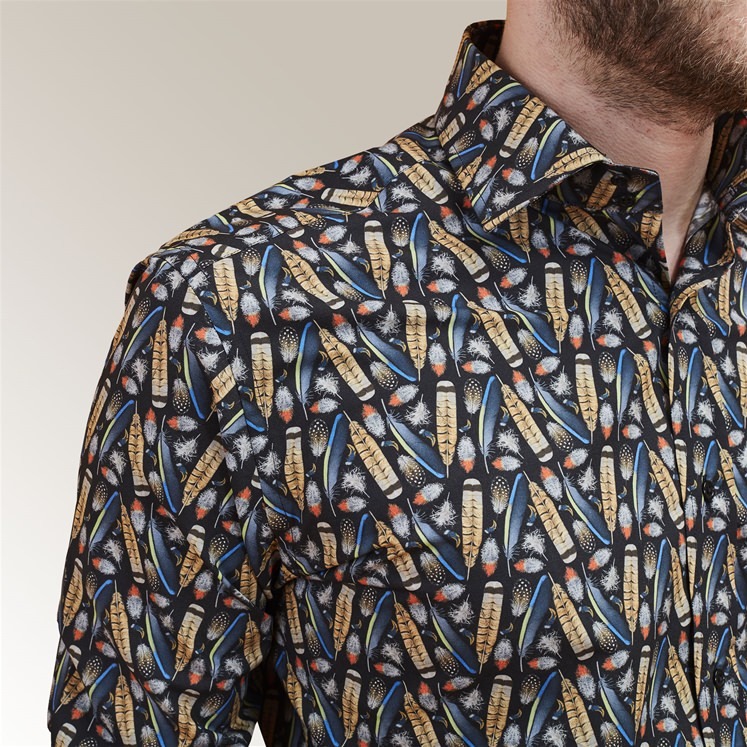 A Limited edition design with a single cuff and semi cut away collar.